ADOPTED. Juan… Looking for a great home. Male puppy around 12 weeks old. 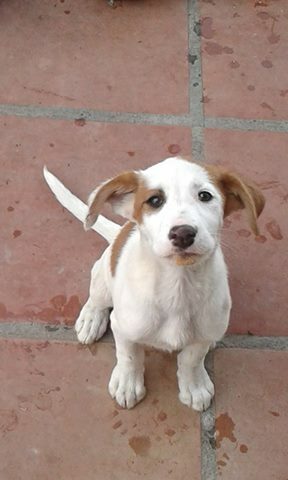 Poor Juan was thrown from a car in the country side and left to die… Needs a home asap. a neighbour saw a car throw out three puppies – we cant find the other two. 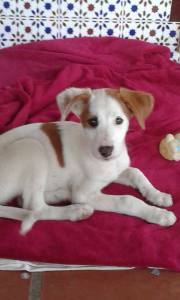 Now washed de-flea´d and wormed, vaccinated and chipped – we just need some help in finding him a home!. 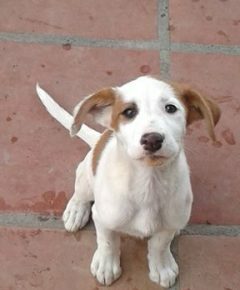 Juan is around 3 months old and he has reasonably big paws, so probably a medium sized doggy in the making – sweet sweet nature.